Peugeot has introduced two new special edition variants of the 208, which are available to order for delivery with a 66-plate in September. The 208 Active Design (above) and Allure Premium (below) cost from £14,585 and £16,215, respectively. 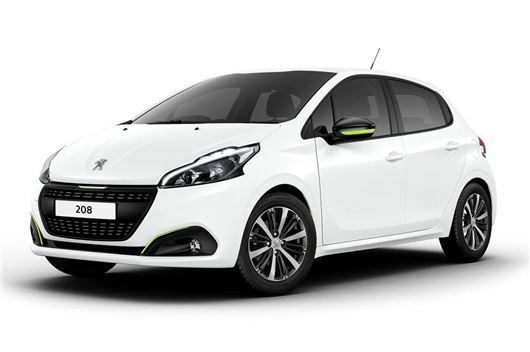 The Peugeot 208 Active Design is based on Active trim, but gains 16-inch ‘Technical Grey’ alloy wheels, fog lights and a choice of exterior customisation packs which contrast against the main paint shade. It costs £320 more than the equivalent 208 Active. The Allure Premium, based on Allure trim, comes with matt black alloy wheels, satellite navigation, reversing camera and a panoramic glass roof. Five colour options are offered. It costs £750 more than the equivalent Allure. Power for both new variants - 82PS of it - comes from a 1.2-litre Puretech petrol engine. Emissions for both are 104g/km, with official economy of 62.8mpg. Buyers of both variants can benefit from a £1200 ‘customer saving’ – or a reduction off the list price. There is also a further £1040 contribution for buyers who finance with Peugeot Passport or Just Add Fuel, subject to terms and conditions.